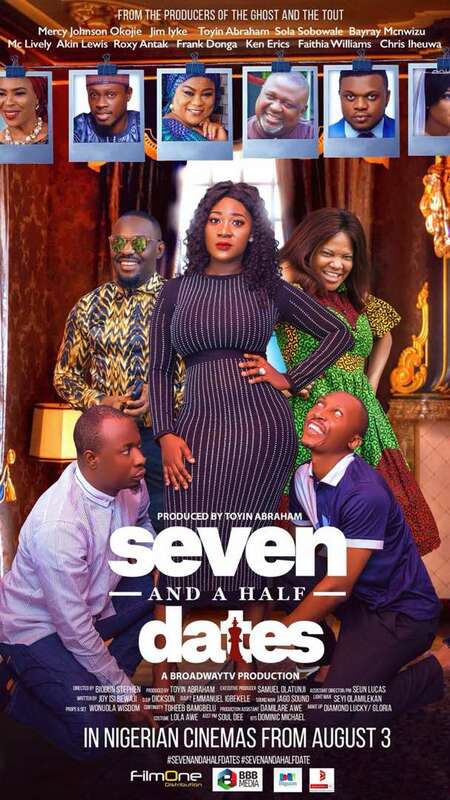 Owing to the recent moves by the producers of the movie, Seven and a Half Dates; the movie appears to be popping everywhere you turn. Fabulous actress and producer of the movie, Toyin Abraham gave credence to this on her instagram page when she shared some pictures taken in different states across the country where Seven and a Half Dates branded materials were sighted. She said “we are everywhere”. Directed by Biodun Stephen and Written by Joy Isi Bewaji, ‘Seven and A Half Dates’ follows the life of a young hard working lady, Bisola, who is engrossed in her passion for her career and finds herself in a seemingly unending quest for love. Her father, Mr Gomez, comes to the rescue. Inspired by the game of chess, he sets Bisola up for 10 different dates to which he hopes one of them yields a positive result. Seven and a Half Dates movie is executive produced by celebrated media entrepreneur, Samuel Olatunji who has over the years helped to steer the careers of many entertainment and corporate products in the right direction. He is the CEO of BBB Media and Broadway TV. The movie is fully owned by his Broadway TV imprint. The movie parades an array of stars like Jim Iyke, Sola Sobowale, Mercy Johnson-Okojie, Ken Erics, Akin Lewis, Toyin Abraham, Faithia Williams, Frank Donga, McLively, Ali Nuhu, Bayray McNwizu, Roxy Antak, Chris Iheuwa and more. From today Friday, August 3, the movie will be in cinemas nationwide.